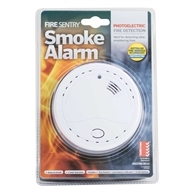 Fire Sentry's Photoelectric Smoke Alarm provides you with the security needed to protect your family. 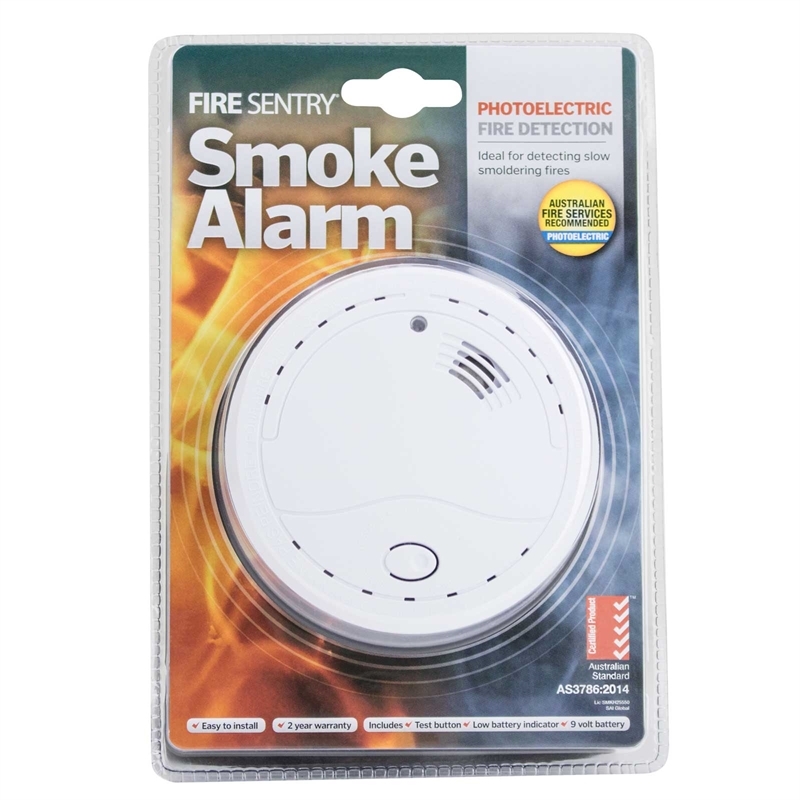 This easy to install alarm operates on a 9V battery and features a test button, LED low battery warning indicator, and an auto-reset function once the smoke clears, all built to Australian Standards AS3786:2014. Photoelectric alarms provide the best detection across a range of fires and are highly effective at giving early warning of slow smouldering fires, which are the most common domestic fires.